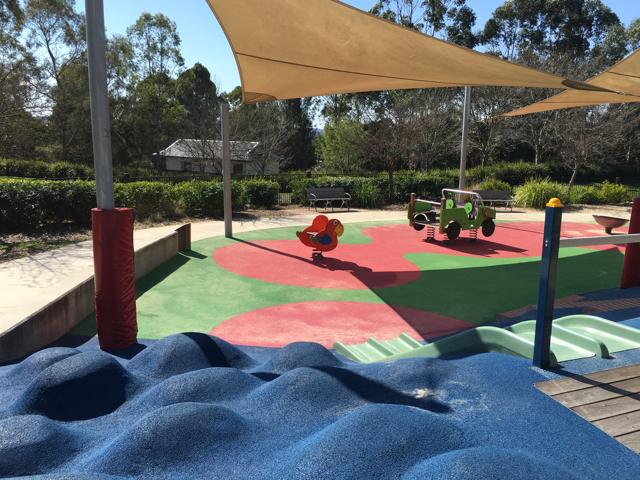 Livvi's Place is an all-inclusive playground part of Yamble Reserve off Quarry Road in Ryde. 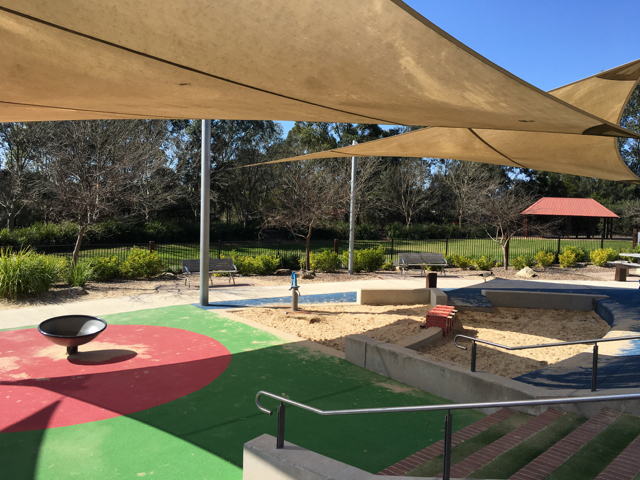 Children of all abilities will have hours of fun in this playground and the nearby sheltered picnic bench areas overlooking the lawns are perfect for a bbq with the family and friends. There are so many great areas for kids to play! 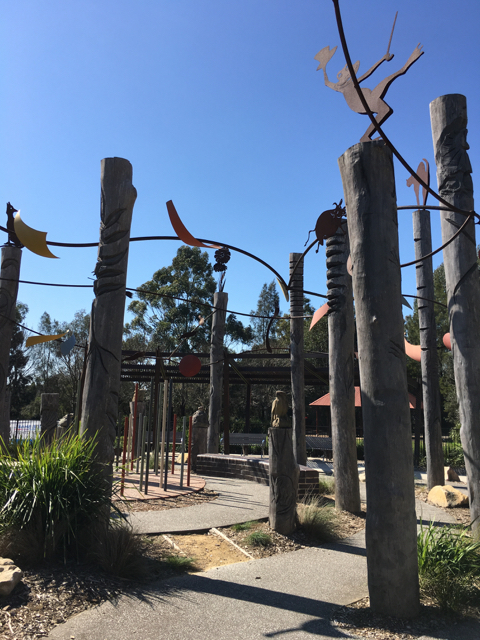 As you enter the playground from Quarry Rd, there is a 'totem' area where kids can play musical instruments on the right and a shelter picnic area with a some play equipment on the left. As you keep going, there is a large swing, a double swing for little and big kids, a climbing dome and a merry go round like equipment. Next to the swings, there is a flying fox which has a seat and a rope to hang off from. The seat can be used by small children or children with disabilities. The swing area is sheltered by sails which is great. On the right hand side of the swings, there is an area for younger kids which two small slides, some springers and a blue mountain area where kids can jump from one bump to another. The area with the springers and the slides as well as the sandpit area are all sheltered from the sun with sails which is great. Little Miss loved this area of the playground the most and she liked climbing over the mounds and going down the slides and jumping from bump to bump. Overall, a great playground where you can easily spend a couple of hours (if not more) with friends and family. There is a free parking on Quarry Road which is great, toilets onsite, a grassy area, lots of areas for picnic and walking the dog. If you need to change bub, head to the toilet block outside of the playground in the reserve. The disabled toilets has a change table.